Located in the Michigan region, Rochester Hills is a town and its area, population and various key information is listed below. For all your administrative procedures, you can go to the city hall Rochester Hills at the address and times indicated on this page or contact the town hall’s reception by phone or by email depending on your preference or the information available. Rochester Hills satellite image: Rochester Hills town from the sky! 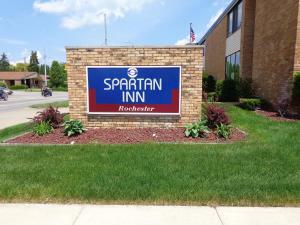 Located in Rochester Hills, Michigan, this hotel is 5 miles from Oakland University. Rooms at the hotel include free Wi-Fi and The Palace of Auburn Hills is 8 miles away. Offering guest rooms with free Wi-Fi and cable TV, this Rochester motel is less than 8 miles from the Palace of Auburn Hills. The reception desk is available 24-hours a day. This Extended Stay America - Detroit - Auburn Hills - University Drive is located in Auburn Hills and especially designed for longer stays, with all rooms featuring a fully equipped kitchen. The hotel offers free WiFi and a 24-hour front desk. This Extended Stay America - Detroit - Auburn Hills - I -75 is located in Auburn Hills and especially designed for longer stays, with all rooms featuring a fully equipped kitchen. The hotel offers free WiFi and a 24-hour front desk. Adjacent to Interstate 75 and less than 2 miles from Oakland University and Chrysler, Fairfield Inn offers rooms with free Wi-Fi and a 27-inch LCD TV. A fitness center is on site.